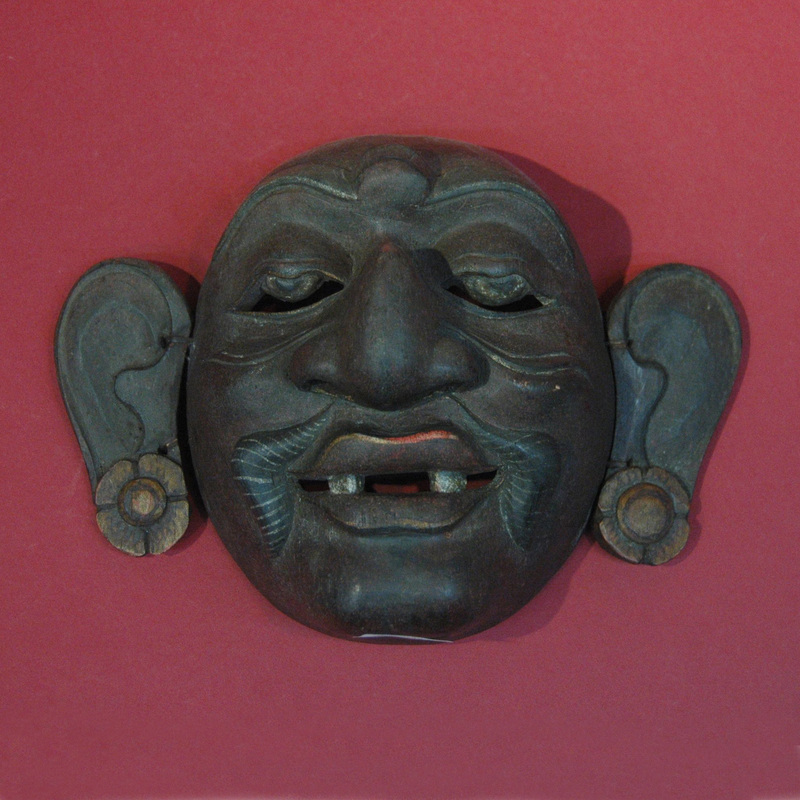 This Balinese mask is of the character Merdah, the son of Tualen, both son and father are the servants of Rama. Merdah lacks the wisdom and apathy of his father but he is eager and honest, a joyful character. Tualen and Merdah portray the good while Sangut and Delem the evil counterparts. Merdah is the Penasar clown in the Wayang Wong performance Ramayana, his function is to narrate the stories to the audience.